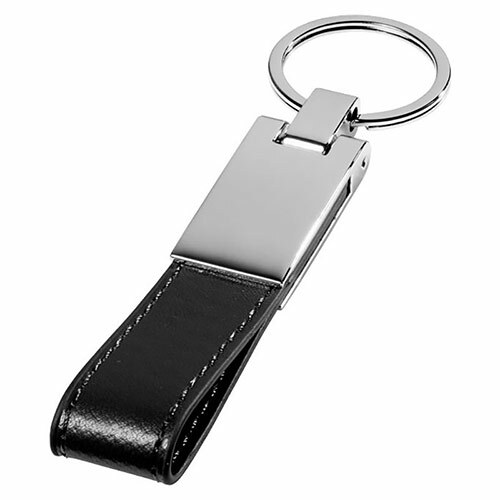 These promotional strap style keyfobs have a silver plated metal fob with black ultrahyde strap attached. 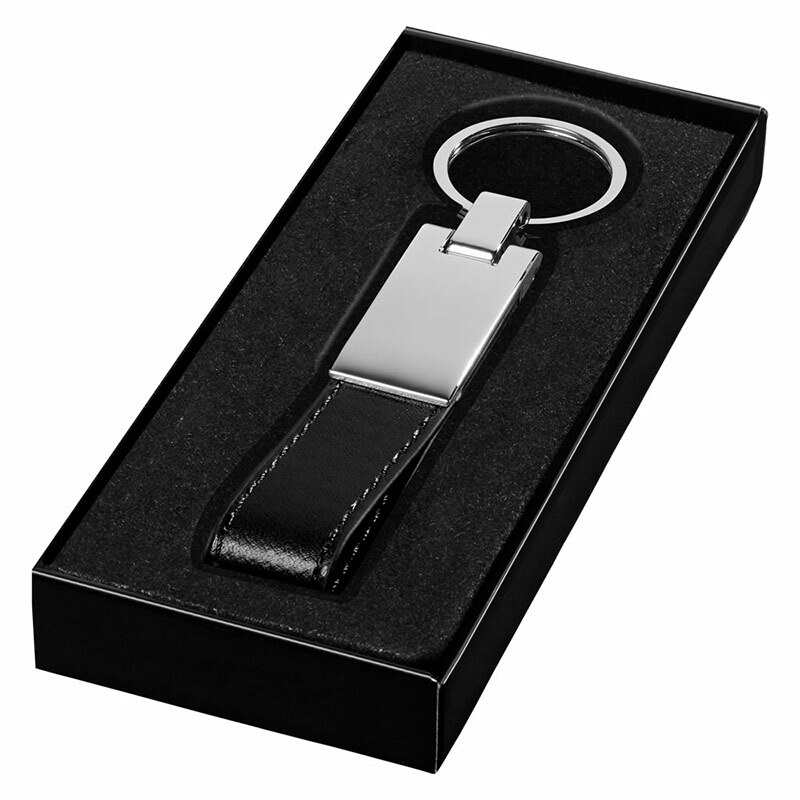 Supplied in a black gift box, they are ideal engraved as corporate gifts or branded merchandise, and are offered here with text and/or logo engraving options. Minimum Order Quantity - Please note there is an MOQ of 20 units for this product. 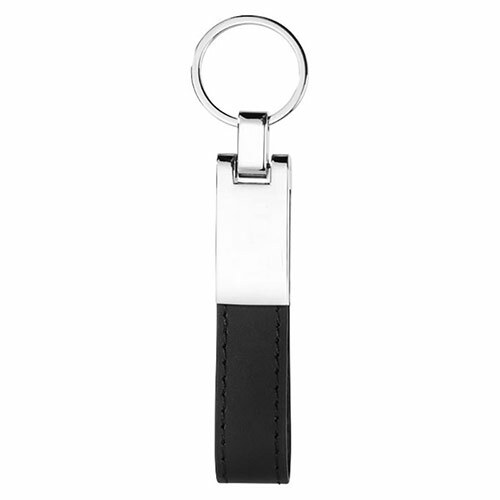 Product size: 8.9cm x 0.8cm x 2cm. Weight: 36g.